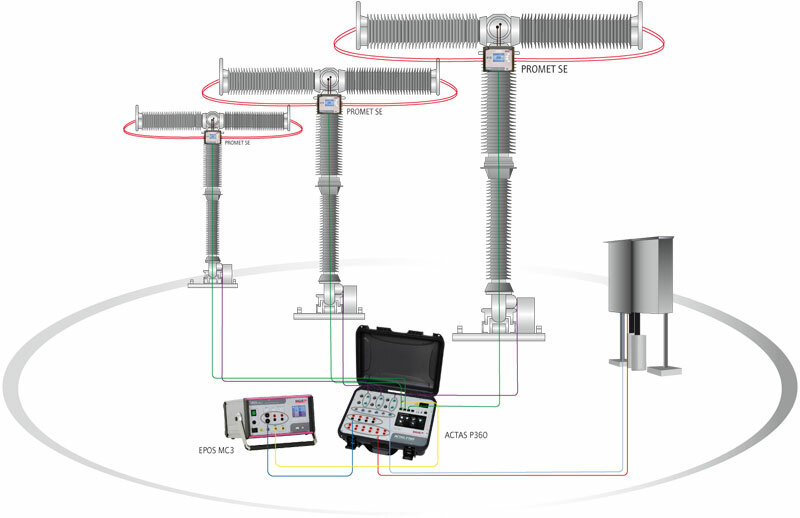 Flexible and compact test systems for carrying out tests on medium-, high- and extra-high-voltage switchgear. Using the integrated control panel of ACTAS P260 | P360, it is possible to carry out complete tests on medium-, high- and extra-high-voltage switchgear. 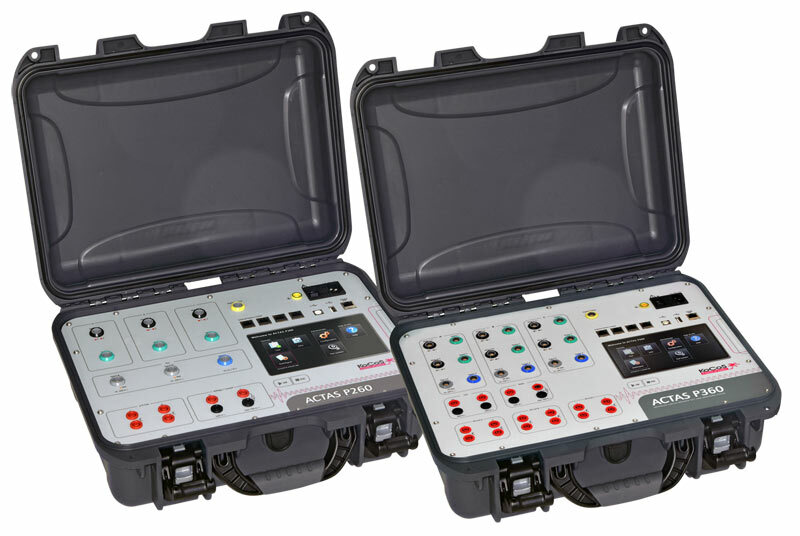 Unlike evaluation based on a simple binary signal, as is used in high-frequency measuring methods, ACTAS P260 | P360 test systems used in combination with the compact PROMET SE ohm meter enable a sound diagnosis of interrupter units throughout the whole switching operation. Regular measurements of the static and dynamic contact resistance allow an accurate assessment of the condition of the entire contact system. High transfer resistance can be identified by measuring static contact resistance. Dynamic contact resistance measurements can be used to determine the resistance characteristic during a freely definable switching operation. Switchgear equipment is often tested with earthing on both sides in order to prevent danger caused by capacitively coupled voltages from neighbouring components. When tests are carried out in combination with PROMET SE, measurements can be carried out with earthing on both sides. The resistive 7“ touch screen, a new operating concept and extra powerful hardware make for easy operation and optimum display of all information. Because ACTAS P260 I P360 can be controlled with a smart phone, or tablet etc., the test instrument can also be operated from some distance away. Configuration and analysis of tests are carried out with the ACTAS testing software and the control panel located on the test system itself. It is easy for tests to be called up, edited or used as templates. A graph of all measured signal characteristics, featuring zoom functions and measurement cursors, offers a wide variety options for detailed analysis. The software includes an option for automatically creating test reports to document test results.